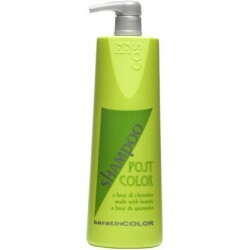 BBCOS Hair Pro - Just Beauty Products, Inc.
BBCOS Hair Pro There are 71 products. Kristal Basic Almond Milk Cream. 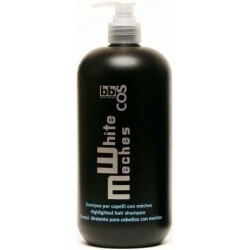 It nourishes the hair without weighting down. 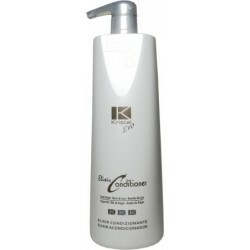 It also leaves the hair incredible soft, shiny and silky. Anti Frizzy Hair Spray No Gas. 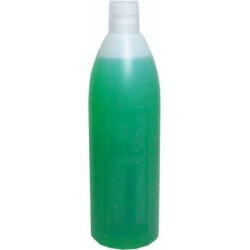 It gives a natural hold and leaves hair shiny and silky.. It dries quickly and can be easily brushed out. 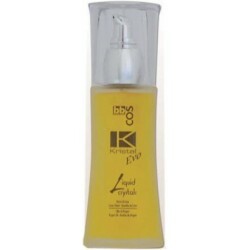 Kristal Evo Elixir Conditioner. Ideal for all hair types. It’s gentle formula with LINEN SEEDS & ARGAN OIL feeds hair daily, leaving shine, brightness and a silky touch, without weighing down. Kristal Evo Elixir. It fills in the porous areas that make hair dull, closes the cuticle of the hair eliminating excess water giving hair it’s balanced elasticity and brightness. Kristal Evo Elixir Shampoo Conditioning. Its gentle formula with LINEN SEEDS & ARGAN OIL delicately cleanses hair contrasting the daily stress exposure. Kristal Evo Gloss Wax. Hair wax. 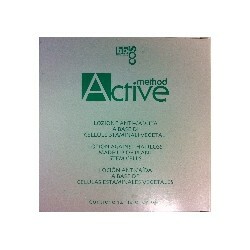 Formula with LINSEED & ARGAN OIL. 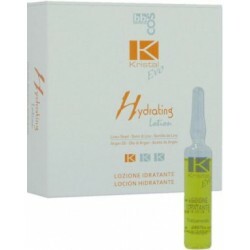 Kristal Evo Hydrating Hair Cream. Ideal for dry and dehydrated hair. Hydrating Hair Lotion 12 vials of 10ml each. 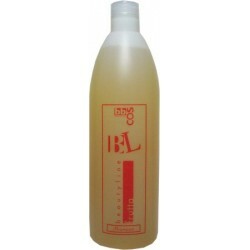 Restructuring lotion for damaged and treated hair. 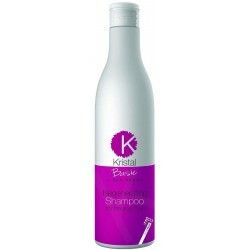 Kristal Evo Hydrating Hair Shampoo. Ideal for dry and dehydrated hair. Kristal Evo Liquid Crystals. 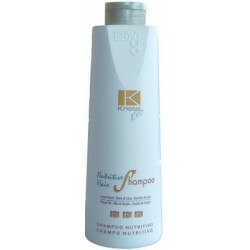 Nourishes and refreshes and treated damage hair. It does not leave hair oily or with added weight. Kristal Evo Matt Wax. Set your look with a MATT effect. 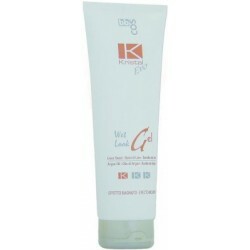 Kristal Evo Nutritive Hair Mask. Ideal for treated hair. Rich in nutrients and re-balancing substances able to restore the hair’s PH to its natural physiological state. 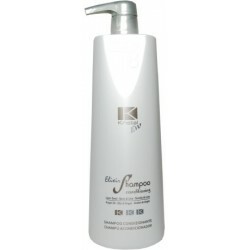 Kristal Evo Nutritive Hair Shampoo. Ideal for treated hair. Rich in nutrients and re-balancing substances able to restore the hair PH to its natural physiological state. 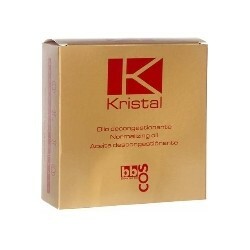 Kristal Evo Passion Curl Cream. Ideal to nourish curly and frizzy hair. Defines the curly, eliminates frizzy effect. 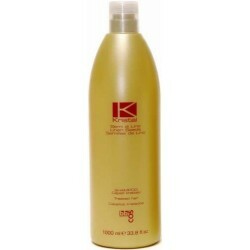 Kristal Evo Power Fix Hair Spray No Gas Extra Forte. Ideal to provide successful hold without weighing down. 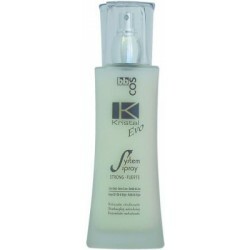 Kristal Evo Shine Hair Lucidante. Ideal to enhance the hair’s shine. Detangles frizzy hair. It does not leave any residue. 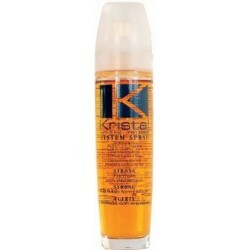 Kristal Evo Strong Hair Spray. Ideal to provide successful hold without weighing down. It can easily brush out. Kristal Evo System Spray Soft. Disentangling and restructuring leave in formulation. Suitable for treated hair to be disentangled. Kristal Evo System Spray Strong. Disentangling and restructuring to rinse formula. Suitable for treated hair to be disentangled. 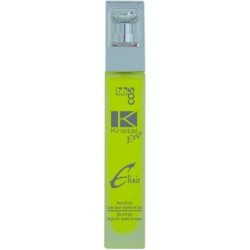 Kristal Evo Wet Look Gel. Ideal to shape any type of hair and create a look of wet-hair effects. Leaves no residues. Easy to remove with one shampooing. TONE ON TONE. The sensitivity and delicate nature of Keratin Color chemical bonds , allow its use as a semi-permanent color. 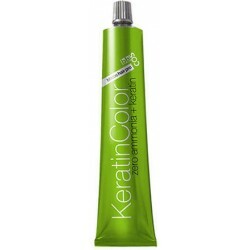 Keratin Color Peroxide. Formula enriched with fine waxes to achieve a luminous long-lasting color result. Keratin Color Post pH Balancer. Specifically designed to keep the cosmetic color, gives volume, elasticity and a balanced hydration to hair bringing it to its physiological pH. POST COLOR SHAMPOO. 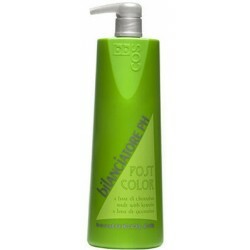 Specifically designed to keep the cosmetic color cleanses gently, bringing hair to its Physiological pH. PROLONGS AND PRESERVES THE COLOR. KERATINCOLOR. 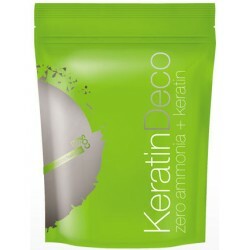 PERMANENT COLOR DYE AMMONIA FREE based on KERATIN, combines the delicacy of a dye without ammonia with the most physio-compatible protein for the haiy. COMPLETE COVERAGE OF WHITE HAIR. KRISTAL BASIC LINE Regenerating mask. High disentangling powered mask, achieves remarkable results even on the driest and weakest hair types. Kristal Line Normalizing Oil Ampules. Hair conditioner for treated, dry, and colored hair. Ideal after coloring, bleaching, and perms. Kristal Line Restructuring Lotion Ampules. 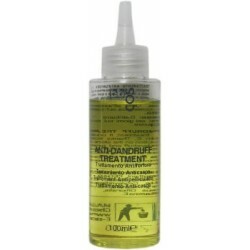 Restructuring lotion for damaged and treated hair. 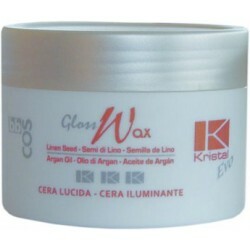 Kristal Line Normalizing Cream. 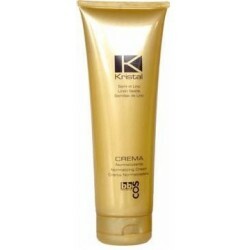 Conditioning and regenerating cream suitable for dry, permed and color-treated hair. 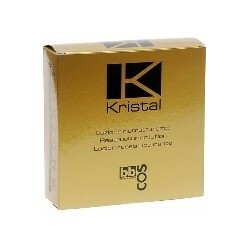 Kristal Line Compact Crystal. Allows to achieve superb hair sculpting and styling versatility without weighting down. 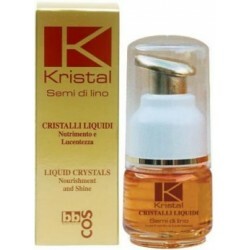 Kristal Line Semi di Lino Cristalli Liquidi Illuminating Serum. 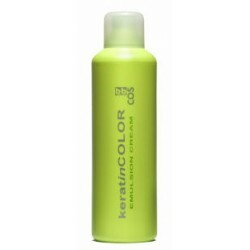 Ideal to provide flexibility and shine on permed, colored, and dry hair. The product do not weigh down neither leave hair oily. 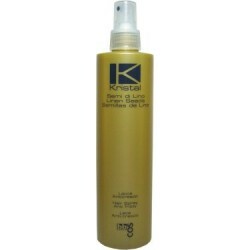 Kristal SDL Ecological Hair Spray Anti Frizzy. A natural high-performance hair spray containing only active product without Propelling agent. Kristal SDL Hair Spray Extra Strong. 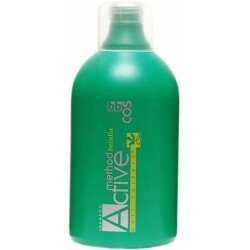 Ideal product to confer an adequate hair support all over your hairdo without adding weight. Kristal Semi Di Lino Restructuring Mousse. Nourishes and restores dry and damaged hair, giving sheen and body from the roots. 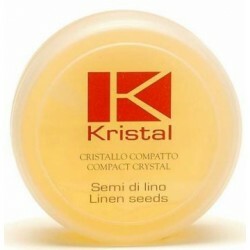 Kristal Semi Di Lino Shampoo for Dry Hair. 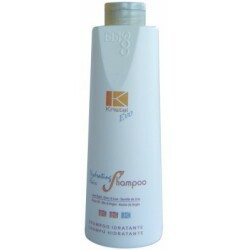 Ideal to cleanse and rebalance dry and damaged hair. Gives softness and versatility to hairstyle making hair easy to set. 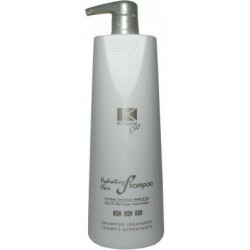 Kristal Semi Di Lino Shampoo for Treated Hair. 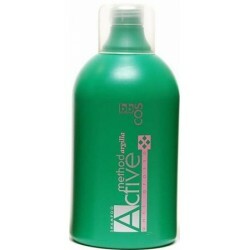 Ideal to restore the pH level of the treated hair. 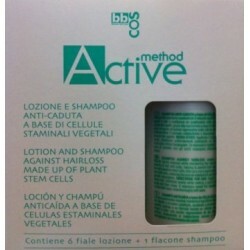 Cleanses gently and leaves hair soft and easy to comb. Kritstal Semi Di Lino Spray Soft. Disentangling and restructuring leave in formulation. Suitable for treated hair to be disentangled. Innovative formula containing linseed proteins, that allows, with the combined action of new generation active principles; a restructuring and disentangling effect. BBCOS Kristal System Spray Strong 100 ml. Kristal Line System Spray Strong. Disentangling and restructuring to rinse formulation. Suitable for treated hair to be disentangled. Innovation Post Color pH Balancer pH 2.7-3.2. 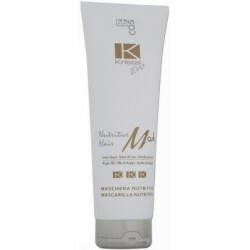 Ideal to restore the hair’s natural pH level (5-6). 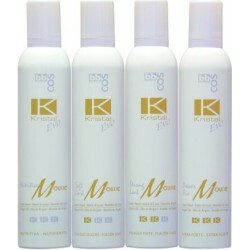 Suitable for use after color, bleaching, highlights and perm treatments. 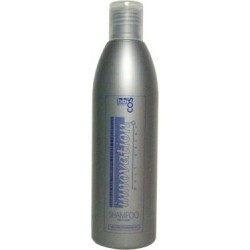 Innovation Linseeds Post Color Shampoo Acidity 4,5-5. 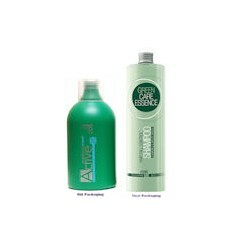 Color and shine maintenance shampoo. Thanks to its formula rich with active ingredients, it performs an emollient and conditioning action, removing the residual alkaline from scalp and giving sheen and body to the hair. Regenerating Shampoo: The exclusive shampoo designed to rebalance the pH of treated hair. Hydrating lotion: No-rinse treatment for brittle and treated hair.